An optional IP67 upgrade kit (model AF‑X‑IP67) is available separately to provide enhanced protection from dust and water. 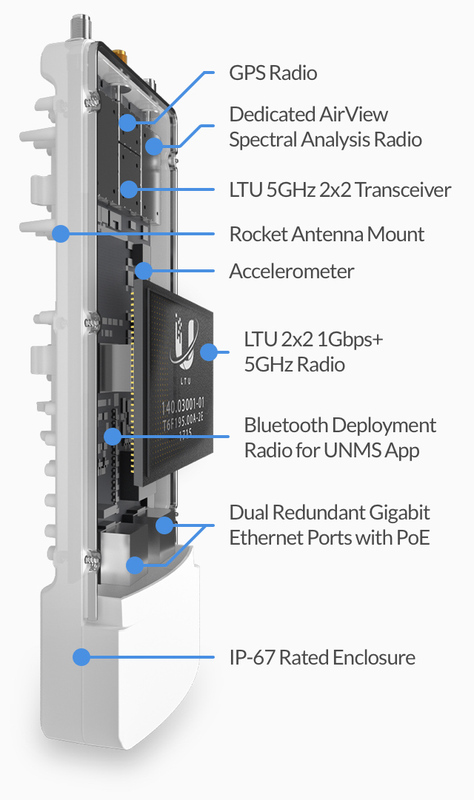 Designed specifically for the Wireless ISP industry from the ground floor up, the AF‑5XHD’s custom LTU silicon and radio architecture provide breakthrough performance. Its core communications processing engine surpasses the limitations inherent to generic Wi-Fi chips to provide low latency, long‑range capability, DFS flexibility, higher constellations, and better power output, along with improved receive sensitivity. The AF‑5XHD features industryleading 21.2 bps/Hz spectral efficiency*, line‑rate data packet processing for up to 1.34 Gbps of real data throughput*, and innovative xtreme Range Technology (xRT™). • Programmable Transmit Power. The radio's transmit power level can be programmed up to +29 dBm. • Programmable Duty Cycle (GPS synchronized frames). The AF-5XHD allows configuration of asymmetric TX and RX duty cycles. TX ratios include 25%, 33%, 50%, 66.7%, and 75%. • Configurable GPS Synchronization. The AF-5XHD. 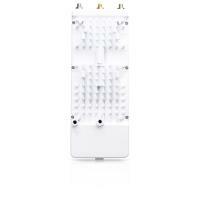 offers configurable support for 2, 2.5, 4, and 5 ms frames. Timing is compatible with all other synchronous systems. • Split TX and RX Frequency (Available with a future firmware upgrade) The radio can operate on different frequencies for TX and RX, allowing great flexibility for interference avoidance. • Split TX and RX Channel Bandwidth (Available with a future firmware upgrade) Support for different channel bandwidths for TX and RX allows users to scale required data capacity more efficiently. • Adaptive Modulation up to 1024QAM. Adaptive modulation rates of up to 1024QAM (4096QAM with targeted upgrade) are supported. • Dual Redundant Gigabit Ethernet Ports with PoE. 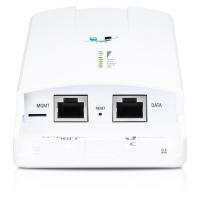 The AF-5XHD has two Gigabit Ethernet ports that can be used to provide redundant PoE power. 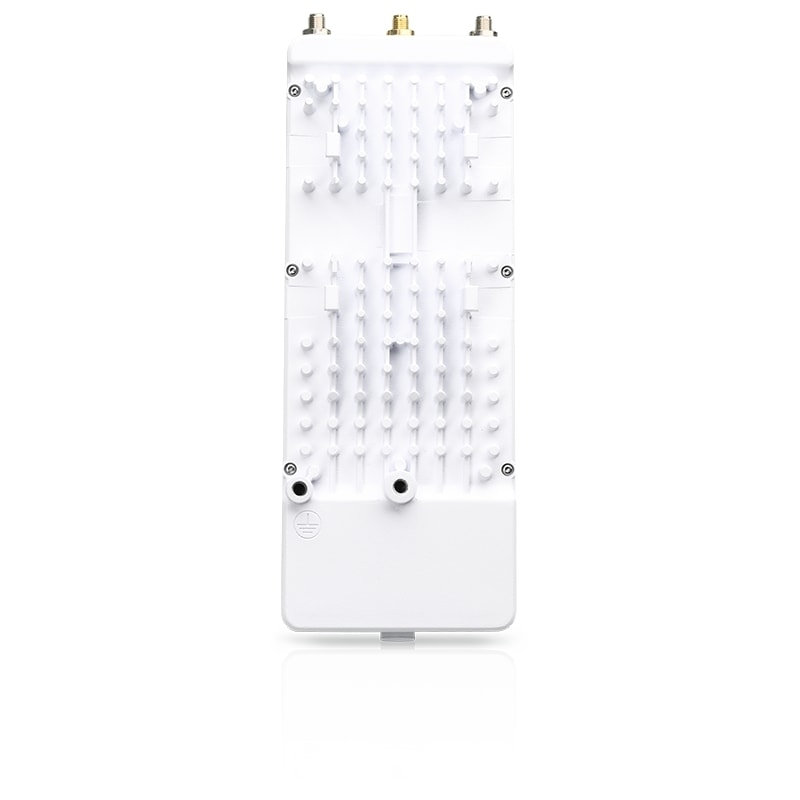 • OFDM and OFDMA Support (Available with a future firmware upgrade) The radio offers flexible scheduling for 2, 4, or 8 subchannels. • Bluetooth Wireless Configuration. Use the built-in Bluetooth interface for wireless configuration. • AlignLock™ Antenna Aiming Guard. 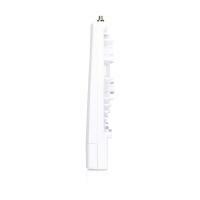 This alerts the user when the radio or antenna aiming is changed due to tampering, impact, or storm damage. 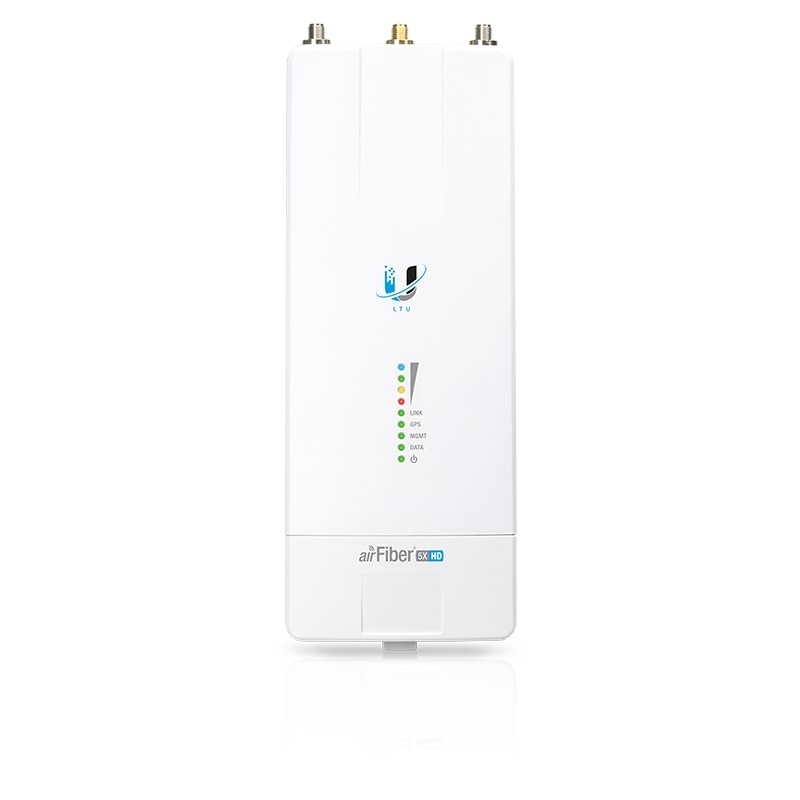 • User-Configurable Interference Mitigation. Three user-selectable profiles support both high‑interference and greenfield deployments for robust, optimal performance. • Redundant Images for Fail-Safe Configuration. Creation of backup firmware images ensures fail-safe configuration and enhances reliability. • Persistent Spectrum Analysis with Dedicated RX. Perform real-time spectral analysis for the full band on live links without interrupting the link operation. 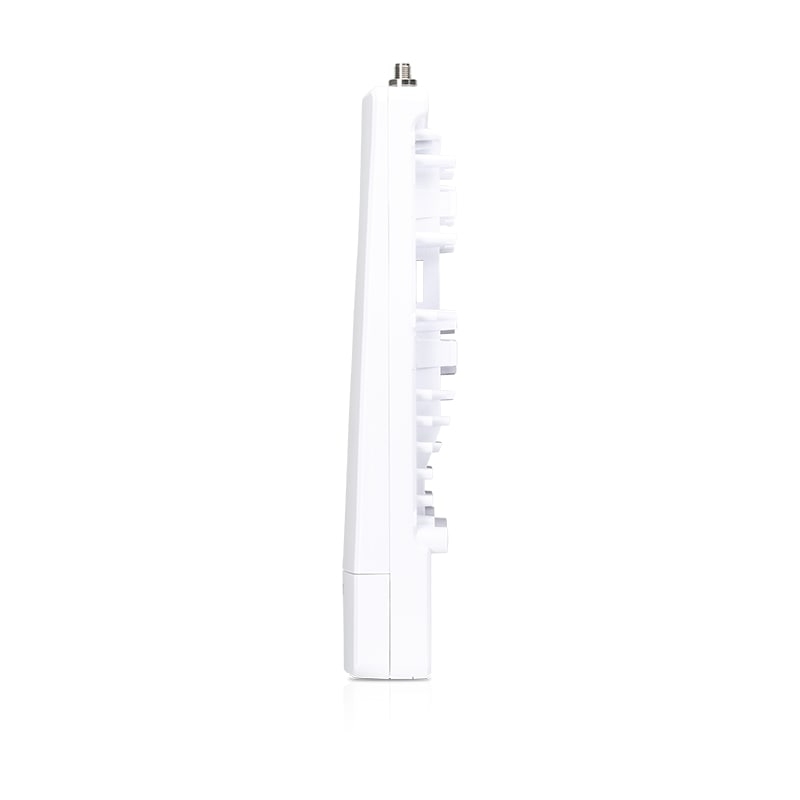 • Wide Voltage Range, Enhanced Surge Protection. The AF-5XHD has an operating voltage range of 19‑50VDC2 and provides enhanced surge protection. 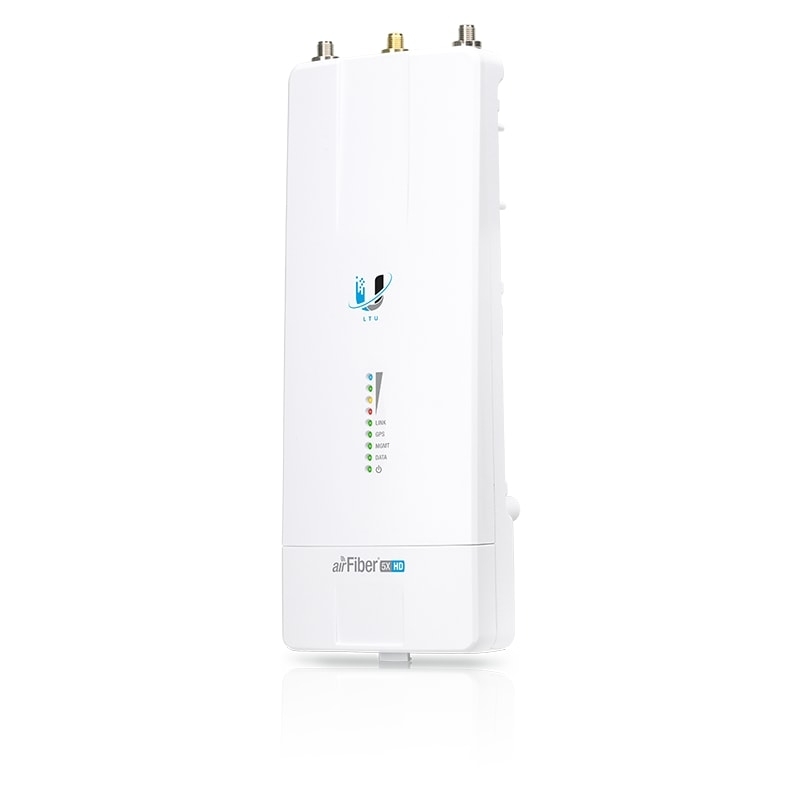 The AF‑5XHD can be used with existing airFiber slant-polarized antennas for improved noise immunity and Signal‑to‑Noise Ratio (SNR). 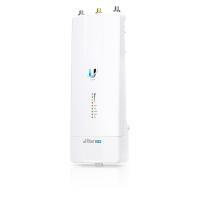 It is compatible with multiple Ubiquiti airFiber X antennas offering gain of 23 to 34 dBi. 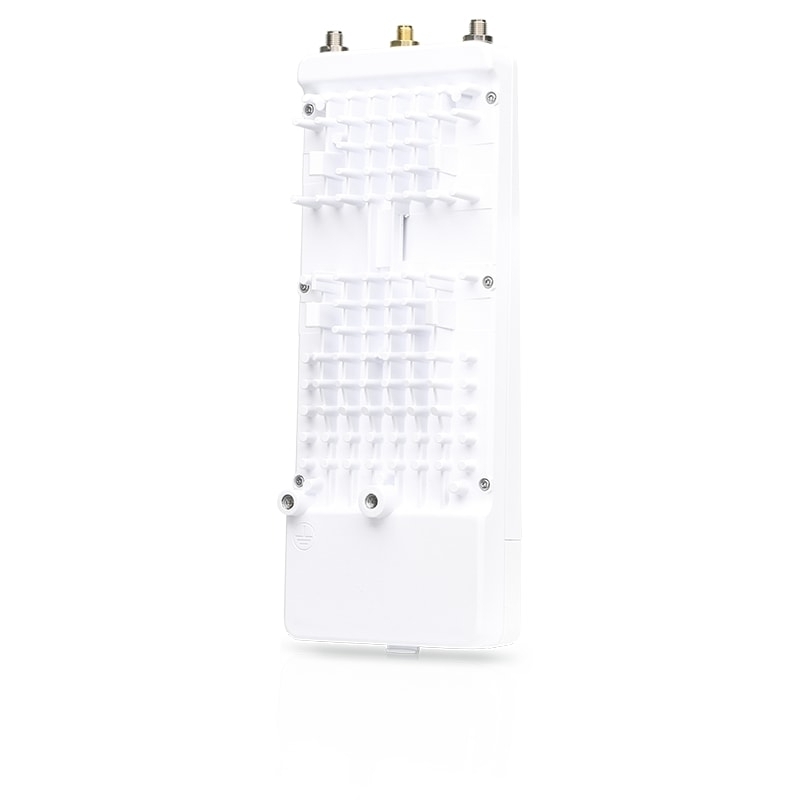 The compact form factor of the AF‑5XHD allows it to fit into the radio mount of airFiber X antennas, so installation requires no special tools. 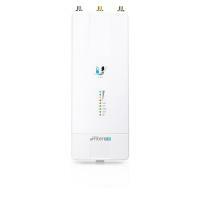 The airFiber X antennas are purpose-built with 45° slant polarity for seamless integration with the AF‑5XHD. 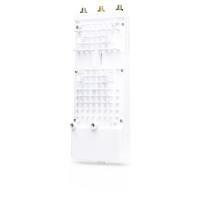 The 5 GHz RocketDish to airFiber Antenna Conversion Kit (AF-5G-OMT-S45) converts the RocketDish RD-5G30 or RD-5G34 antenna for use with the AF‑5XHD.